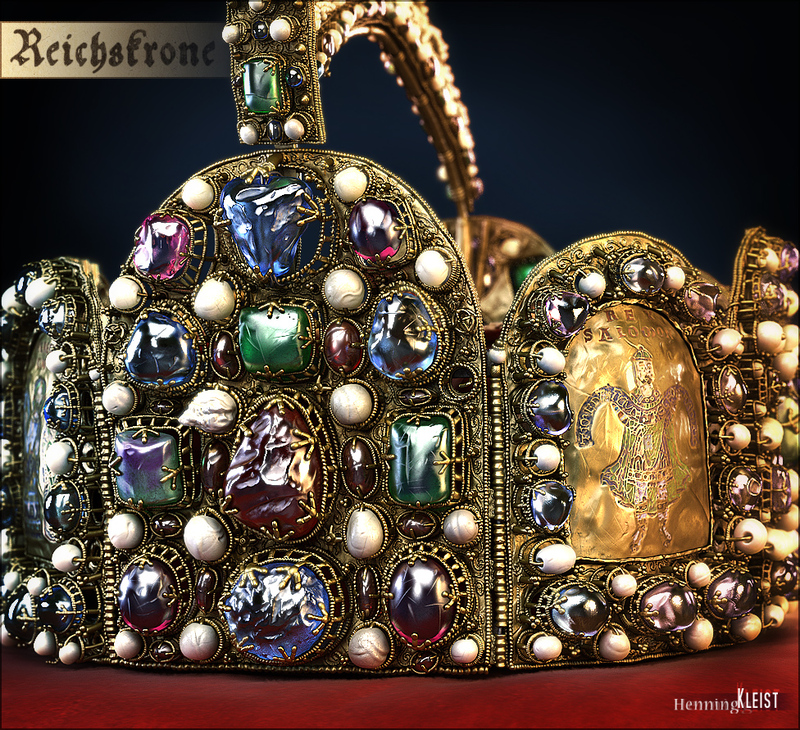 this is my latest work, the medieval German imperial crown ("Reichskrone" in German). 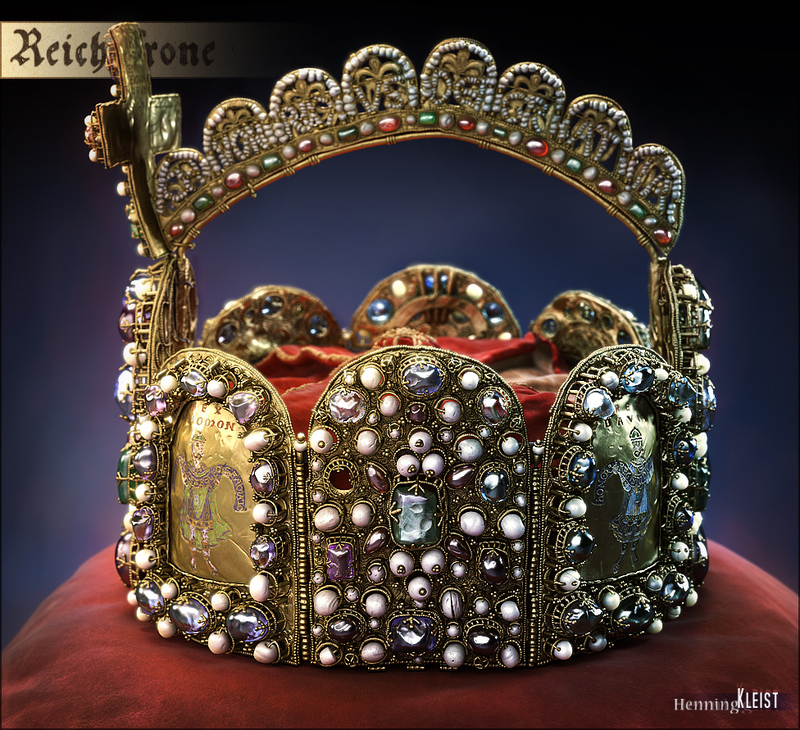 I paid special attention to match all the details of the real crown being kept at the Hofburg in Vienna. All of the modeling has been done in Zbrush (base meshes in 3ds Max), unwrapping, materials and rendering with 3ds Max and Vray, texturing and postproduction in Photoshop. The model has been greatly reduced by Zbrush's Decimation Master (to ca. 3 mio polys) and later normalmapped in Max to get back the amount of details. Really impressive work, I love all those small details. my new portfolio website has gone online. 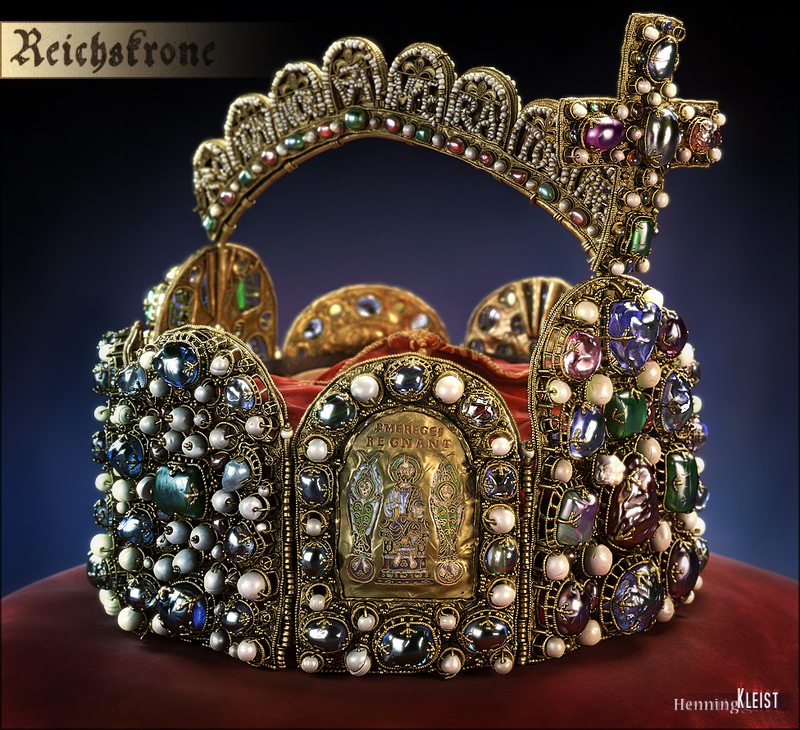 There's also some closer look at the crown. You had to spend much time to take care for each detail. Amazing detail. Looks pretty realistic.